Great chart what year was this done. Chris it's labeled "1981 PM test"?, but there's no year labeling the cars? It wouldn't surprise me if George, Mike or Boss Wrench know the year and makes of all the cars used in the test, as well as the chassis # and owner of the GTS. LOL you guys are walking dictionaries. That's whats so awesome about these forums...all their knowledge is documented here. It would be interesting to see this updated. Although I do remember it I would say that it is a little outdated AND I am skeptical at who is missing from the list. A couple right off the top of my head are the 911 and the Corvette. Frankly I wouldn't mind seeing the 427 Cobra on there either. As I recall, the Pantera had a large advantage right out of the gate because of it's price relative to the others really in it's class. All things equal (who ever said things were equal or the Universe was fair) interesting none the less. Corvette and 911 for sure...but not so sure a 427 Cobra at 2100-2200 pounds is a fair comparison. Take a gander at the braking distance of the 512 Boxer....almost 40 feet better(20%+ better)than the best. Wonder what calipers and rotors and rubber were on that car. What's interesting is the Manta on the list is a kit car, tube frame, SBC, fiberglass body, I would have thought it would have done much better due to a weight advantage, but then we don't know what brake parts they used. I'd like to see how the P relates to all the best. The Cobra continues to boggle the mind of the best of the best. So? I've always said, if you talk the talk, you better walk the walk. Wanna be in the big leagues, you want to play, not just sit on the bench. HAHAHAH!!! This dates from a Popular Mechanics article comparing the then-current sports cars available on the market at the time. All the cars in question were 1981 models (including the Pantera, a late-model GTS imported by PanterAmerica). Unfortunately I don't know anything about that specific car however. Corey’s suggestion to try the brakes both ways and make your own choice is sound advice. Doug made a point worth repeating, there is no testimony lending credence to the assertion that removal of the proportioning valve is harmful in any way. I certainly would not advocate its removal if there were. Neither do I believe the vendors such as Steve would offer kits for the proportioning valve’s removal if it might create a liability issue for them. Mike’s story regarding how the proportioning valve came to be is very enlightening, at least for me. It appears the brake system was designed without the proportioning valve, in other words Dallara (or someone else within the DeTomaso organization) designed the brake system with the extremely forward biased brakes intentionally! This also means removal of the proportioning valve is equivalent to removing an alteration orchestrated by Ford engineers and restoring the brake system to the engineered balance Dallara had intended. Now that doesn’t sound so bad does it? This leads me to a discussion of front to rear brake bias. So settle in guys, pour yourselves a drink, this is going to be one of my long winded posts. Mike described the front to rear bias of an ideal brake system as being so closely balanced that the front brakes lock-up first, and the rear bakes lock-up shortly thereafter. That is the text book ideal brake bias described by some race car engineering books, but in the real world that is seldom how brake bias is set-up in an amateur race car; and it is universal in the world of street car design that rear brake lock-up is NEVER a good thing; it is something to be avoided. It is desirable for the rear brakes to do as much work as possible, but never so much as to risk the condition of rear brake lock-up. Street cars are by nature heavily front brake biased. And remember, the Pantera is a GT car, a high performance street car. (1) 4 wheel lock-up - It’s fairly easy to understand why 4 wheel lock-up is not a good thing, at that point all 4 tires have lost adhesion to the road and the driver has no control of the vehicle’s speed or its direction of travel. This condition is to be avoided with no exceptions. (2) Rear wheel lock-up - When the rear wheels lock-up the rear end of a vehicle has a tendency to swing around on the outside, unless the vehicle is traveling in a perfectly straight line. Even when traveling in a straight line the rear end will have a strong tendency to swing in one direction or the other, depending upon centrifugal force, the road surface, tire condition, etc. It can be difficult to avoid rear wheel lock-up under all conditions because of the wide range of variables affecting weight transfer, centrifugal force and the chassis’ ability to cope with them. The variables include the driver’s driving style, road conditions, varying corner speeds, shock absorber wear, tire wear, tire pressure, changes in tire make and model, varying outdoor temperatures, and varying vehicle load (passengers, fuel level, luggage, etc.). Once the rear end starts swinging it is nearly impossible to stop; this tendency is even stronger with a mid-engine vehicle … which no doubt contributed to Dallara’s decision to set up the brake bias the way he did. (3) Front wheel lock-up – If a vehicle is traveling in a straight line when the front wheels lock-up, the vehicle tends to continue to travel in a straight line. If the vehicle is cornering when the front wheels lock-up the vehicle will begin to travel forward in a straight path towards the outside of the corner. Unlike rear wheel lock-up, front wheel lock-up is fairly easy to recover from, all the driver needs to do is lighten the force on the brake pedal, allowing the front tires to regain adhesion, and the vehicle will resume cornering. A driver becomes aware of the loss of front tire adhesion quickly because they feel the loss of directional control via the steering wheel in less than a second’s time. If they are driving an open wheel race car they can see the tire smoke from the skidding tires almost as quickly as they feel the loss of directional control. Front wheel lock-up is considered by far the best of the 3 scenarios. Both passenger cars and race cars are set up with a bias towards the front brakes, not just because most of a vehicle’s weight transfers to the front wheels under braking, but also because it is preferable for the front tires to lose adhesion first. And although it is important for the rear brakes to shoulder as much of the braking chore as possible, vehicle dynamics make it equally important to have a margin of error built into the brake bias to avoid rear wheel lock-up under dynamic or varying conditions. In the top levels of racing the extra front bias for that margin of error is often very small, the brakes are set up as Mike described, the front brakes will lock up just before the rears under heavy straight line braking. In amateur racing the norm is more forward bias; and street cars are another thing altogether because the range of variables encountered by a street car are tenfold greater than the variables encountered by a racing car. Fixed – linear – mechanical brake bias is “built-in” to vehicle brake systems in many ways. The size of brake disks can be varied front to back, the size of brake pads can be varied front to back, the size or number of caliper pistons can be varied front to back, and dual master cylinders can be employed having different sized pistons for front and rear circuits. Besides these fixed means for providing front to rear brake bias, race cars usually have a means for varying the brake bias as well; this usually entails a bias bar between the dual master cylinders. This allows racers to compensate for temperatures, tracks, or tires. On top of that, some types of racing make it necessary for the driver to be capable of adjusting brake bias during the race. This allows the driver to compensate for changing weather, tire wear, changing track conditions and even varying fuel levels. In that application a cockpit mounted knob or lever attached to a cable assembly that manipulates the bias bar is often employed. I’d like to point out however, while the professional drivers use those cockpit mounted brake bias adjusting gadgets, the amateurs usually leave them alone. With all these mechanical means to provide fixed – linear brake bias, you may be wondering why a hydraulic “proportioning valve” is needed at all. At least that’s what I’m hoping you’re wondering because that’s what I want to describe next. A proportioning valve is not a device for setting linear brake bias; it does not proportion brake force front to rear in a linear sense, the proportioning valve we are most familiar with is a hydraulic pressure limiter. Observe the graph below. The hydraulic pressure input equals the hydraulic pressure output until the “knee point” setting is reached, from that point onward the output changes very little. In the average car with a proportioning valve attached to the rear brake circuit this means under light braking, when there is no chance of the rear wheels locking-up, the rear brakes are allowed to receive full brake pressure and contribute significantly to slowing or stopping the vehicle. But under heavy braking the pressure to the rear wheels is severely limited and the braking bias shifts drastically to the front tires. This should indicate just how badly the major auto designers wish to avoid rear wheel lock-up, and is probably the other consideration explaining why Dallara designed the brake system with the extreme front mechanical bias it has. I also hope this explains why anyone considering installation of an aftermarket “adjustable” proportioning valve in the Pantera’s front brake circuit shouldn’t do so. You do not want a device with a “knee point” limiting FRONT brake pressure in this way. Proportioning valves are designed strictly for rear brake circuits. In other words, it reduces hydraulic pressure in a linear fashion; it does not function like a classic proportioning valve. I have heard this description before, I have never verified if this is accurate, but I am willing to accept it as truth for arguments sake. Am I getting too techy for anyone, or are you guys still hanging with me? Have another drink. I’ve had several myself. A question for Mike, has anybody truly verified the Pantera’s proportioning valve truly does not have a knee point built into it, that it is strictly a linear bias device, or is this just an assumption? I do not agree with painting a description of the Pantera brake system with the “proportioning valve” installed as finely balanced, and removing the valve as throwing the brakes way off balance. As explained above, even with the valve in place the brakes must still have a significant margin for error built into the front to rear brake bias, to compensate for all the possible variables encountered by a street car. If the oem brake system were truly "finely balanced" then changing tire sizes or even using tires with different rubber compounds would be enough to throw-off the front to rear bias. If the front disks had been ventilated I doubt if the proportioning valve would have ever been installed. I’m supposing that brake fade under repeated hard braking was the concern at Ford. For that reason I am willing to concede that the addition of ventilated front disks should accompany the recommendation to remove the “proportioning valve”. I’m guilty of not emphasizing that enough. I’ve also been meaning to mention Chris’ rear brake upgrade kit, so now is as good a time as ever, I think Chris’ new kit should be added to the list of essential Pantera upgrades. I’m not aware of any other brake upgrade that involves just the rear brakes upgraded to complement the braking capabilities of the oem front brakes (sans the damn proportioning valve). Good stuff Chris. So Adams lets amend my “essentials” list for the brakes to include Chris’ rear brake kit. I wasn’t aware of its existence until he mentioned it earlier in this thread. I know Chris and can vouch for him, he’s good people … even though he installed a Chevy motor in his white Pantera. We all make mistakes. Ideally the Pantera’s front disks should have been ventilated. The Pantera was the most expensive car sitting on the Lincoln dealer’s lot, and it didn’t even have ventilated disks, a feature even the lowly Mustang had. If you want to know which company was responsible for the solid front disks, I'd like to point out to you the European GTS had ventillated front disks. The solid disks were a Ford spec. If more rear brake bias than that provided by Dallara was desired Ford should have accomplished this mechanically with stronger rear brakes, not hydraulically by lowering the pressure to the front brakes. That’s just flippin’ crazy. The 1981 Popular Mechanics exotic car comparison test (March 1981) didn’t paint the Pantera in as good a light as it could have. Phil Hill wrote some complimentary things about the Pantera, but he also commented even though the Pantera had the most points, he didn’t feel safe driving it. You know the old saying, one Oh S#!t cancels a hundred atta boys. And the editors of Popular Mechanics stated even though the Pantera won the test, the Porsche 928 was the car they would most like to own. Good grief! In my opinion, Pantera bashing was as strong as ever in that article. Can you think of any other auto comparison test where the winning vehicle was so under-played? If the guys importing the Pantera in 1981 (Panteramerica) had purchased some advertising the negative comments would have probably been omitted. As it stands the magazine article is a mixed bag of good and bad. Ask 10 people, get 10 opinions. The weight of the test, the cost of the Pantera in relationship to the others was a large factor in it winning. I'm not familiar with The last Panteras but are their brakes the same as the original US Ford imports? Incidentally, I won't necessarily value Hill's opinion as the ultimate. He has shown me on more then one occasion that he always has an ax to grind. To my memory, he always had a high regard for the F cars? As far as front to rear bias in the design vs. the production, don't forget that the Pantera is and involvement of a car from the Mangusta. Anyone who follwed the development of the Mangusta should note that when first tested by the auto press the car was close to a nightmare to drive because of it's trailing throttle oversteer. A term incidentally that was coined because of the Mangusta. It is also a big reason why Ford backed out of the original verbal agreement to DT about importing it and the reason DT called it the Mangusta. The Pantera design all but eliminated the oversteer but part of that evolution away from the 'goose problems was the braking system. If you look at the Pantera brakes the rear caliper and pad is so small in regards to the front that it is impossible to make the rears lock up first, with or without the stock proportioning valve. That valve is merly extra insurance as far as the Ford engineering involvement was concerned, in my opinion. Granted the brakes aren't normally going to make a car oversteer, snap oversteer as it were, but the slightest tendency in a turn for the rear to lock up COULD in the mind of some, launch this thing into the weeds like a tornado spinning. Paranoia would likely prevail to all legally responsible for unleashing a lethal weapon upon the public considering the liability lawyers like Ralph Nadar sitting waiting for the next sacrificial lamb. Ford simply wanted no more of the "Unsafe at any speed" press. Maybe consider it an early mechanical ABS design? No one to this day has produced an iota of documentation even suggesting the removal of the valve is a negative. The vendors don't seem to be overly concerned about liability. All of them are selling brake systems that are clearly labeled by the manufacturer as "for racing use only"; at least one of them removes all those warning inserts from the packaging before sending it on to the customers. Although as a grown-up I don't feel there is any great inherent danger in using 'racing' brakes on the street, a sharp attorney looking for some deep-pockets cash after an accident might not feel the same. The vendors manage to sleep at night (presumably) so they must not think the liability risk is great enough to warrant not offering these systems to the public for street use. Sorry George, that particular argument doesn't hold any water, particularly when viewed in the context of the Mangusta, whose brake bias was a complete disaster. Those things had so much front brake bias that the rears were nothing more than ballast. Some of the cars had a proportioning valve from the factory, while others didn't. That valve was located at the bottom of the firewall on the engine-bay side; I confess I don't know if reduced pressure to the front or the rear. But clearly their engineering department left a lot to be desired in that regard. That's why Ford had to re-engineer the Pantera system slightly, when the prototype cars failed to meet DOT standards for braking performance. The fix was a very expedient one, when a proper fix would have been a complete re-engineering of the system with bigger/better rear calipers. Mike described the front to rear bias of an ideal brake system as being so closely balanced that the front brakes lock-up first, and the rear bakes lock-up shortly thereafter. If I said 'shortly thereafter' I misspoke. They should lock up some time later, but not immediately afterwards. But they should lock up eventually. That is the text book ideal brake bias described by some race car engineering books, but in the real world that is seldom how brake bias is set-up in an amateur race car; and it is universal in the world of street car design that rear brake lock-up is NEVER a good thing; it is something to be avoided. It is desirable for the rear brakes to do as much work as possible, but never so much as to risk the condition of rear brake lock-up. Street cars are by nature heavily front brake biased. Agreed, with a strong caveat. Four-wheel lockup would only result from driver error (braking too hard). A proper braking system should have the capability of achieving it, and be engineered so that the driver can control his braking to approach it, but not go over the edge. Prior to the advent of ABS, virtually every car sold in semi-modern times could easily do so--including the Pantera. I don't know of any non-ABS car that was ever designed to intentionally prevent the brakes from fully working in that regard? That last part is a pretty long reach, but you raise an EXCELLENT point about the characteristics of adjustable prop valves, one that I only recently learned myself. I presumed (and their literature often seems to indicate) that they reduce pressure in a linear fashion, but the non-linear reduction you describe above makes a lot of sense when they are employed in the rear circuit. It also makes them sub-optimal when employed in the front circuit. Because the harder you brake (with one of those valves in the front circuit), the more the bias shifts towards the rear, exactly what you don't want. So if you have one of these, you have to have it adjusted rather conservatively. As you said above, you never, EVER want the rear wheels to lock first. With an adjustable valve set up to ABSOLUTELY ensure that the rear brakes don't lock up first, it will deliver less-than-optimal pressure to the rear brakes, most of the time. However, it will still deliver substantially MORE pressure to the rear brakes, than not running a valve at all. So while it's sub-optimal, it's still demonstrably better. HAHAHA!!! This is a great discussion! Which it does! Most people have upgraded their Panteras to use wider tires, and the rear tires are normally relatively much wider than the fronts (that is, the increase in rear size is much greater than the increase in front size). This means that the rear could potentially use even more brake bias than before, which would mean (if the stock calipers were maintained) that the front brake pressure would need to be reduced even further than the stock scheme, in order to maintain appropriate front/rear bias and allow the rear brakes to work properly. Those are unrelated arguments. A vented disc will stop just as well an an unvented disc, when at normal operating temperature. A vented disc will allow temperatures to be maintained in the useable range, and allow the brakes to continue working when they have been used aggressively. Under normal driving conditions, brakes never get hot enough to suffer heat-induced brake fade, so vented rotors would have no effect on braking bias. If the brakes are biased properly and are used aggressively, all four will heat up, so all four would benefit from venting. Putting vented rotors in the front and solid rotors in the back would probably result in the brake bias slowly shifting forward as the rear brakes overheated and the front ones didn't, under aggressive driving conditions. That's not really optimal either. It sounds like Chris has found and filled a niche that has been overlooked for far too long. However, I can't find anything specific about it anywhere. Chris, would you mind (and George, would you please allow) generating a bit of an advertisement for them here, and let everyone know exactly what George is referring to? I think for somebody trying to improve their braking on a budget, an improved rear caliper setup that would deliver proper braking without pressure reduction anywhere in the system would be absolutely the best thing ever! Ideally the Pantera’s front disks should have been ventilated. No--ideally all FOUR of the Pantera's discs should have been ventilated! The Pantera was the most expensive car sitting on the Lincoln dealer’s lot, and it didn’t even have ventilated disks, a feature even the lowly Mustang had. If you want to know which company was responsible for the solid front disks, I'd like to point out to you the European GTS had ventilated front disks. The solid disks were a Ford spec. Vented discs were one of many OPTIONS on the Euro GTS, but did not come standard, nor did the 10-inch wheels, etc. I've worked on several different Euro GTS Panteras, both here and in Europe, and the vast majority came with solid rotors from the factory. Although we're not supposed to insult people here, I am going to go out on a limb and say that it wasn't just crazy, it was just plain STUPID. Ford and De Tomaso were under both time and cost constraints to bring the car to market, and the band-aid fix took minutes to implement while sourcing all new rear brakes and redesigning the system would have taken weeks or months. The cars have suffered ever since due to this shortsightedness (as well as similar shortcuts on numerous other systems, i.e. air conditioning). And Doug, as to your statement that nobody has ever demonstrated that Panteras have been wrecked as a result of degrading the rear brake effectiveness, that's a rather specious argument. We all know that Panteras have been crashed over the years; some of them had received this modification. It would be next to impossible to 'prove' that an accident occurred because of this modification, and would have been avoided without it. In discussing the argument in favor of degrading the rear brakes, I'm reminded that there are people who still, today, stridently believe that you're safer NOT wearing seat belts. That was a long-held belief for years when seat belts first came out, and there was plenty of anecdotal evidence available to support such contentions (heck, even I can provide one; many years ago a guy in Nor-Cal drove his Pantera straight into a telephone-pole-sized tree, hitting so hard that the trunk ended up touching the wiper grilles! The front was bent into a V and the headlights were only a couple of feet apart. He wasn't wearing his seat belt and was unhurt--except for injuries to his arm afterwards, when he deliberately broke the window to get out of the car). While that mindset was prevalent back in the day, with the passage of time, more and more people have come to realize that seat belts are a good thing. Similarly, while many years ago people (including some Pantera vendors) advocated increasing front caliper performance at the expense of total vehicle balance, that idea is no longer as widely held as it once was. As to the braking issue, while it's impossible to demonstrate that an accident could be caused by partially disabling the rear brakes, intuitively one can see that it could be true. 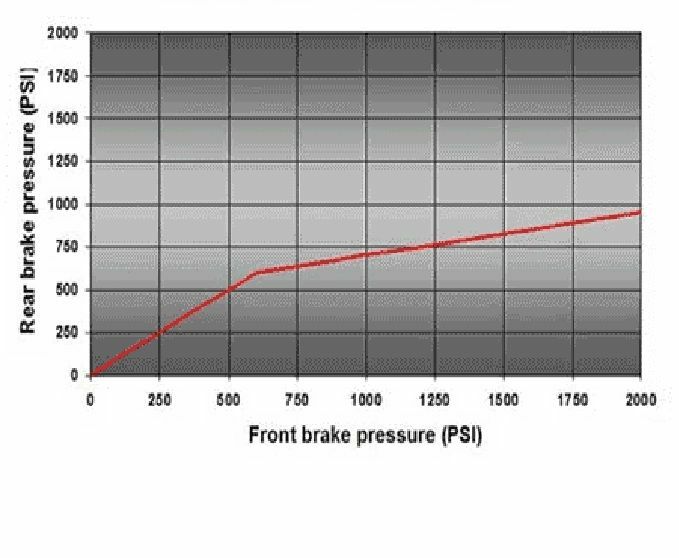 What COULD be demonstrated empirically is that stopping distances under max-effort braking will increase if the valve is removed, or conversely, will be reduced if it is installed. Ford proved that conclusively back in 1971. But, as many people have mentioned, times have changed, we're all running different tires, etc. etc. so the specifics of those tests are no longer perfectly valid for any of us. What is needed is a new round of objective, empirical testing. And I've been keen to do just that. My fiancee's Pantera #1765 had stock brakes, with a blown-out master cylinder, and a badly leaking stock pressure reduction valve. The folks in PCNC got together and installed a new Wilwood master from Dennis Quella, and an adjustable (knee-style) Wilwood proportioning valve in the front system. (She has Pantera East 16/17 inch Campagnolo clones on her car with 245/45-16 and 335/35-17 Dunlop tires). The valve has been left in the full-open position (no pressure reduction) so that it effectively mimics having no valve at all. It does not stop well. She drove it at a few track days, and totally destroyed her front brake pads due to the excessive front bias. New Porterfield pads have just been installed in front, and new rear Porterfields will be going in shortly, along with braided stainless steel flex hoses. Once that is complete, her car will represent a sizeable percentage of the demographic here—stock calipers, upgraded pads, braided stainless hoses, aftermarket master cylinder, and oversize wheels/tires. We will then undertake a scientific test regimen to establish the optimal positioning for the valve. There is an industrial park near my house that is largely uncompleted, offering a straight, wide road about a half-mile long with zero traffic. We will use both distance- and temperature-measuring equipment, to try to get some empirical data to support or disprove the contentions that one can only otherwise intuit. We’ll get the brakes heated up by driving around and performing a few hard stops. Then we’ll do a max-effort stop from 50 mph and measure the stopping distance, and front and rear rotor temps. Then we’ll start dialing in some rearward bias by reducing the pressure to the front system, and repeat. By measuring front rotor temp, we’ll ensure that our data isn’t being skewed by thermal runaway (the brakes getting hotter and hotter on each stop). We’ll figure out how much cooling is necessary between tests so that front rotor temps remain fairly constant, and rear temps increase as braking increases. We’ll continue numerous times until we have gone too far (if in fact it’s even possible to do so) and the rear end locks up. Then we will back well away from that. I am expecting that some brake restriction to the front system will result in shorter stopping distances than no restriction. It remains to be seen what will happen first after that—rear brake lockup, or front brake ineffectiveness due to excessive restriction. If stopping distances initially decrease, and then start increasing, with front rotor temps dropping and pedal effort increasing, then that will probably demonstrate the point where the adjustable valve hurts more than it helps. Eventually we’ll hopefully arrive at an optimal, safe setting that affords the best possible braking with the constraints that the stock braking hardware produces. And then, she’ll want to buy a complete aftermarket braking system! Any manufacturer or vendor selling Pantera or 351 Cleveland specific parts is always welcome to advertise (announce) the availability and specific details regarding those parts in the community announcement forum. I think Chris is aware of this. If not, he is now. Reading Bill Taylor's graph regarding his proportioning valve test results, I disagree with your assessment. The Pantera "proportioning valve" does indeed have a knee in the curve, at 650 psi. Below 650 psi the input equals the output, it is linear; above 650 psi the pressure is reduced by about 33%. It would be much more obvious if the horizontal scale were expanded. Sure ventillated rear disks are preferred, optimal, to be recommended. I would want them for my Pantera if it didn't already have them. But ... I've seen many US manufactured cars get away with solid rear disks, ventillated only in the front. This is why I've repeatedly mentioned only ventillated front rotors. The fronts are more essential, and my comments to Adams were originally the bare necessities. Some people don't want to spend any more money than necessary, others want to keep their cars as original as possible, changing only the essentials. My comments have been geared for such owners. I feel accurate calling it a proportioning valve now! Further to my earlier post about the testing that was performed in the USA and the requirement for brake proportioning, I dug up the report to remind myself what it said, and see that I misremembered it. Two cars were used for testing, #1006 and #1011. #1006 was tested first, in late August/early September 1970, and the tests were conducted at Riverside Raceway, with ambient temps in the 90s. Following the successful conclusion of the tests, they went to repeat them on #1011 but found excessive pedal effort was required. They suspended the tests, and according to the documents, eventually they swapped the master cylinder *and the proportioning valve* over from #1006 to #1011. That restored normal braking operation, and the tests continued with #1011, which more-or-less mirrored the results earlier attained with #1006. The tests on the now-functional #1011 took place in mid-September 1970. So, clearly the cars had the proportioning valve from the start. Where earlier I said that I'd read that it had to be added to the car to make it stop properly, now I see that it had to be transferred from one car to the other; presumably the second car had one installed originally and it was just replaced, not added. So therefore, for better or for worse, it was part of the original design. It's really interesting to see how aggressive and comprehensive the brake tests were, and how well the car performed. It's also interesting to note that at the extreme limit, on one test one of the cars experienced lockup of the left REAR wheel. That shows that bias was fairly evenly distributed between the front and rear, when the cars were new and the tires were skinny. It was interesting to see that they were not trying to achieve (nor did they measure) stopping distance; rather they sought to achieve a fixed deceleration rate, measured in feet per second per second. They measured pedal effort to achieve that rate on multiple stops, to measure brake fade--if it took more pressure to achieve a given rate of deceleration, then that indicated that the brakes were fading. They also did post-fade testing, to make sure the brakes recovered once they had cooled, and they did water testing--driving the car through 9 inches of standing water to soak the system, then honking on the brakes etc. Rotor temperatures were measured, and as expected with solid rotors, they got quite hot--up to 600 degrees after 15 consecutive 60-0 stops with no cooling in between. However, brake pedal effort to achieve the desired fixed deceleration rate actually remained about the same (the effort went down as the brakes heated up, then went back up as they heated up further, so that the effort required on the last stop was about the same as that required on the first stop). Although they didn't report the actual stopping distance, if you're starting from a fixed speed and slowing at a fixed rate, time and again, the stopping distance must be the same (plus or minus a bit). So the car passed the brake fade and recovery tests with flying colors. They also tested braking with each system (front and rear) disconnected; there they did measure braking distance. The government requirement was a stop from 60 mph in 646 feet; with the front disconnected it took 378 feet, rear disconnected it was 284.6 feet. They also checked for performance with the power assist disconnected, from 60 mph; the requirement was a stop in 600 feet, and the two cars did it in 319.5 and 324.2 feet respectively. The report on the braking system tests (oh yeah, I forgot to mention they also tested the effectiveness of the emergency brake) is over 100 pages long. The bottom line is that when the car was new, it had GREAT brakes relative to your average 1971 car, and their performance would certainly be more than acceptable by today's standards (for normal street use). If a stock Pantera today doesn't have great brakes for street driving, something is WRONG and needs to be fixed. That said, they certainly can be improved upon, and there is never any harm in doing so! I'll send him mine. He deserves it for using a word like, specious. Made me look it up and everything? I still think he was calling me a Neanderthal but that is redundant isn't it? Taking the argument that it's a good thing to increase front brake effect at the expense of rear brakes (and ruining the balance) to the extreme, why not just dismantle and plug three brake lines? The remaining wheel will get plenty of fluid pressure, and the car would stop on a dime. Not! Anybody with an original setup should either do the whole thing, or get better calipers for the rear. If those calipers are good enough to significantly increase rear brake force, then it might make sense to remove the (dare I say it?) proportioning valve. Mike your comments on the testing done by the factory is quite interesting....I must surmise that "The government requirement was a stop from 60 mph in 646 feet" (OMG thats over two football fields!) proves that Fred Flintsone's braking system of dragging his feet was also adequate, or for that matter who needs brakes at all, just turn the motor off and downshift (too much rear bias), the car will stop eventually and the higher compression motors will be even more effective. No wonder some US car designs fell so far behind the rest of the world in the 70's and 80's! As I read about all these test being done, I remembered...when I was in high school in the early to mid 70's there was a Lincoln Mercury dealer (I think Fladboe Lincoln Mercury) in Long Beach that my friends and I would stop at and marvel at the new Pantera's. Somehow we started talking with one of the mechanics who wrenched on the Pantera's (we thought this guy was GOD)and he turned us on to all the brake parts (calipers and rotors, front and rear) that the dealer pulled off the Pantera's that were supposedly faulty and under warranty. He said some were bad and they toss them in the trash, but that most were still good parts, but it was the dealers policy to make sure the Pantera's had only the best parts on them and to make sure that Pantera owners were very happy with the cars. I retrieved all the parts from this mechanics bin from only that week and ended up 1-2 set of front calipers and rotors and 3-4 full sets of rear brakes. I guess there were some issues they found on the rears due to the number of parts he had. I thought some how I would find enough good parts out of the mess to put on my 67 Fast Back Mustang GT figuring that the parts off a Pantera had to be way better than what the Mustang had. Back then we had a lot of fun going to junk yards searching for muscle car engines and different parts, so the brakes off a Pantera were a real find. Well I never got around to putting the brakes on the Mustang and finally my Dad (sit down and place your head in your hands! )just chucked all the parts in the TRASH after 15 or 20 years of sitting in his garage. Thank you for recommending our kit George! We haven't put it up for sale yet on the website as we are still testing, but you will be able to order it in the next few days. This kit will include two, 4 piston Wilwood calipers that are a direct bolt on replacement, two red powder coated mounting brackets, all mounting hardware, and PolyMatrix Brake Pads. All of our brackets are designed in CAD. With this upgrade, you can still use the stock master cylinder. If those calipers are good enough to significantly increase rear brake force, then it might make sense to remove the (dare I say it?) proportioning valve. This kit does indeed call for removing the proportioning valve as with it out, the brakes are very balanced. This will be on sale for $499.95 for the next month (regularly $599.95). The kit looks like choice quality stuff, something this hobby has needed for a long time. combining that rear brake kit with vented front rotors & removal of the proportioning valve is a great fix for the oem brakes. I hope a lot of owners will jump on this. It will even work with the oem 15" Campy wheels. Way to go Chris. Are the rears biased about where I think they are? Thank you very much George! We hope we can get our kit out their and improve upon the brakes on many Panteras.. The balance, or bias, will definitely depend on the specific installation such as tire size. It is designed and tested though to have the bias more towards the front. If on a specific installation the bias is towards the rears, a proportioning valve in the rear circuit will be needed. I like the kit but would like an option for the rotor too? What size rotors would you like? And do you want calipers and rotors for all four wheels? We can customize it anyway you want..
Chris since this keeps the existing master and booster in place what tire sizes has this been tested on? I'm running 245/40-17 and 285/40-18's. My guess is I'm smaller in the rear than you're running on that Z06 contraption (yeah I know it has more HP and Torque)LOL couldn't resist taking a poke. Would I need to run a proportioning valve on the rear circuit with less rubber on the ground with your rear calipers? And what pads would work well with this combination? Now comes the fine tuning...I remember Porterfield puts out harder and softer pads so there's another variable? Noticed my pedal was drifting ever so slowly to the floor, ... then the "while you're in there bug" bit me ... A daunting number of choices out there ... wanted to pose this to the experts ... all advice gladly accepted. Adams left it "wide open" more or less for advice regarding the drifting pedal and/or advice regarding upgrades within his parameters. We don't want to hi jack the thread and change the topic into one focused on SACC Restoration's rear brake kit. Scott/Chris the brake kit is a new product, and I think there are enough people interested in it, you could start a new "announcement" thread ... and people can fire all their questions at you there. I think the discussion about the proportioning valve may result in this thread becoming a sticky. I enjoyed the banter with Mike, didn't you? But beyond anything else I want to make sure our friend Adams gets the help and answers he's looking for. Thanks to everyone for contributing toward making this forum the friendly and informative place it is. Building a global community is what its all about. DeTomaso owners around the world reaching out to help one another, sharing information and experience, and building relationships. Seeing people come here week after week and receive the help they are looking for makes it all worth while for me, as I hope it does for you too. We don't want to hi jack the thread and change the topic into one focused on SACC Restoration's rear brake kit. I completely agree. 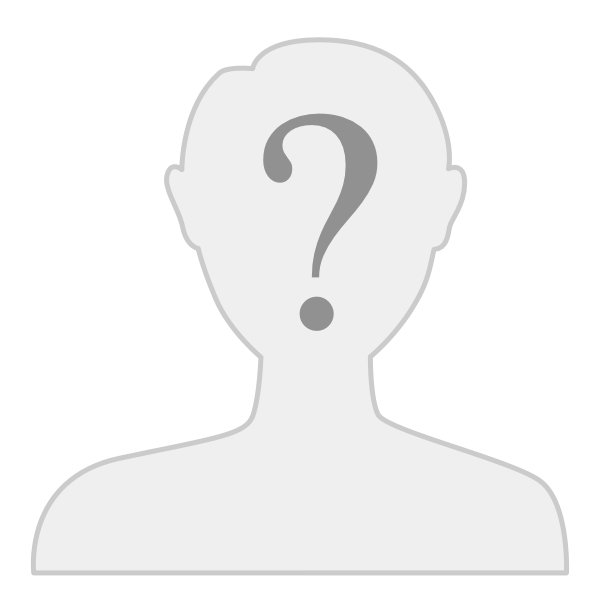 I will start a new thread and answer the questions that have been posted already in the new thread. Thanks Adams for starting a great thread. I have really enjoyed the discussion thus far. Mike, the rear wheel lock-up that was experienced by one of the '70's test cars likely had more to do with the Pantera's suspension design, spring rates and shock valving than brake bias. Since the Pantera's front suspension has no "anti-dive" designed into it, with the original soft springs and shocks, in an all out panic stop, the nose of the car drops and the back end rises, causing significant weight transfer onto the front end. This weight transfer increases the load on the front tires but also lowers traction at the rear end. This is another reason why the arguements for and against removing the factory pressure reducing valve aren't as simple as merely altering brake bias. A fascinating point. I hadn't considered it, but I think it's quite valid. So, a Pantera fitted with aftermarket shocks and stiffer springs would then have less nose-dive, less weight transfer to the front, less loading on the front wheels relative to the rear wheels, and therefore would benefit from increased rearward brake bias over stock--not a radical decrease in rearward brake bias. Thanks for bringing that additional point to light! "a Pantera fitted with aftermarket shocks and stiffer springs would then have less nose-dive, less weight transfer to the front, less loading on the front wheels relative to the rear wheels"
Here's a great link to a website that actually shows what happens with anti-squat/dive suspension geometries....click the tabs on the top and it will run through an animated change in the Center of Mass/Gravity and the change that takes place, on the right top corner there is a play arrow, a stop and forward and back arrow to stop the animation. I wouldn't have thought that with less dive there is that much difference in weight transfer or loading, but there is. Also you would certainly have less suspension geometry changes and therefore fewer changes at the tires contact patch, which in turn keeps more tire on the road giving better grip when braking. Wow...what a great discussion! 6018 is lowered about as low as you can go, it has Koni coil overs with Hyperco springs. It doesn't nose dive. It brakes flat. The front springs aren't that stiff, the car rides very nice, absorbs bumps very well. I don't think its the springs that have eliminated the nose dive, I think lowering the car is responsible for that. When the car sits down front and back (when you brake) and it does not lock up, then it is balanced properly. If the nose is diving under braking and the rear is "in the air", there is insufficient braking in the rear. This is easier to see in an autocross car rather then a high speed track car because of the differences in speeds, but you are aiming for the same thing. Oh, and for a performance car, you should be able to stand on the brakes, literally, and not be able to lock up the brakes. This is how the street 65-6 Shelby GT350 brakes are set up. It is virtually impossible to lock the brakes up. I doubt that the Pantera needs more then a 11.75 to 12" front rotor. Granted with the 17" rims those would look silly, but I don't think you need 14" front rims. You can debate what the front thickness should be but 1.25" vented would probably be maximum. I happen to like that rotor. A 67 Thunderbird rotor will substitute for the stock P on the P hub. It is 1.25" thick and 11.75" od. Of course you can go with a aftermarket composite also but they start to get pricy in this size, particularly plated/slotted/cross drilled. You can open a can of worms with a 1.25" rotor. For one thing you need to micro cut the rotor on the car because of the mass. If it is the slightest out of balance, you won't be able to drive the car. Probably 1" in the front, vented, is less problematic for a street car. The size of the pad, surface area, and the compound are important. I like the Porterfield RS-4 compound. The R-4 is a race compound and you don't really want that on the street. The rear is a different story rotor size wise. I happen to think that the 68-9-0 Mustang front rotor is about right for the rear. 11.3"od x .81" thick vented. Too bad we can no longer get the original configuration, i.e., the current replacement rotor has the bearing hub cast into it. Probably a Willwood modular rotor in that size would be the substitute to use? The 4 piston Willwoods front and rear is a great way to go. 6 piston in the front is nice but maybe a little to Lemans orientated then necessary? Sure, because of the four mounting points on the stock P rear uprights, that opens the option of using the P original caliper as the parking brake. Actually a good idea. This is probably how I will go on my Pantera. I already have my GT350 set up this way with a 1-1/4" bore master and the setup is NICE! The difference is the Shelby uses a 67 Tbird caliper. It is heavier and larger then the Willwood but it is what the vintage racers use on their cars and it is what "the factory race cars" used. It is very street-able since it came off of a production street car. It is a brake system that was designed to stop a 6,000 pound car. It works on a 3,000 pound car twice as well. Save the stock P front "proportioning valve", but have it mounted and bronzed and put it on the mantle. For this kind of a braking set up you need an adjustable proportioning valve for the rear. It shouldn't be difficult to do. The Pantera unlike the Mangusta is inherently stable. It should just be a matter of getting the pressure just right? I think the relative ease of "upgrading" brakes on this car as demonstrated by the number of vendors who have done it shows that. I think the difficult and maybe dangerous part of this process is going to be building the adapter brackets for the car. Maybe it is best to leave that to someone who can use his CAD program and, what is it now, a plasma cutter, to whittle them out of 1/2" plate? Eliminating "nose dive" under braking is a product of correct shock absorber valving combined with proper brake balance. Stiffer springs and a lowered center of gravity help too. That being said, these improvements only make the car able to deal with the weight transfer that's occurring, without upsetting its balance and traction. It's impossible to eliminate weight transfer under braking. In fact, weight transfer also happens when you push down, or lift off of, the throttle, and it affects traction whenever it occurs. If you are lucky enough to attend any of the well known high performance driving schools (Bondurant, Jim Russell, Skip Barber, etc. ), weight transfer is usually the first day's lesson. I had no idea this discussion would become this lively, informative, passionate. Thank you to every word. Just returned from a family trip (National Championship Game, Roll Tide) and didn't see this latest round til today. Sounds like a new less aggressive rear kit may've been spawned. And a super discussion tributary on springs, shock rates, lowering, nose dive/weight transfer. Now comes the fun part... doing it. Thanks folks, very much. PI membership pays off again! Couldn't help but notice in the Hot Rod feature on Goran Malmbergs car that he runs stock (looking) Pantera rear brake calipers. HR called it an AP Racing caliper, so that's what I'm going to call mine. Since the consensus seems to be that the rear stock caliper is inadequate here is my idea for a upgrade. Due to the availability of stock calipers why not use a pair of front calipers on the rear. Use the stock rear caliper for the E-brake and make up a bracket to fit the front calipers in the rear. Do the proportioning valve mod in the front, and put a ajustable proportioning valve in the rear circuit. Has anyone tried this and your thoughts? My thoughts exactly...and move the front rotor to the rear along with the calipers. IMHO the main reason for NOT using two inadequate calipers in the rear is, they are heavy and still ineffectual even when doubled up. Just because it's easy to do doesn't mean it's worth the effort. I can't be sure but I think Goran is only using the stock rear calipers for an easy solution to an e-brake- required for legal road cars. FWIW, stock Pantera rear calipers were also used on the Peugeot 205. The thought was to use the existing rear caliper for the handbrake, and relocate the front rotor and front caliper to the rear. Are you saying that the existing front caliper and rotor are inadequate for the rear? Considering the size of some of the wheels and tires being run on these cars converted to Gp4 fenders, the added weight of front caliper in the rear has to be insignificant compared to the added weight added by a 18"diameter x 13"wide rim and tire? I think I remember the front caliper to weigh 4 or 5 pounds? No? 4 or 5 pounds? No? They weigh 14 pounds each. Putting the front rotor on the rear introduces additional issues because the diameter and thickness is different. We developed the Caliper Upgrade Kit because others had said they want to KEEP the stock rotors. It definitely is a good deal. I have other considerations though. There is pressure on the brake manufacturers to bring back the Mustang brake rotor as it was made originally. I don't think it is if, it is when. I would adapt that vented rotor to the rear of the Pantera, and the 67 T Bird rotor to the front. That will make affordable, or more affordable rotors available for "hobby" racing. Selecting the calipers then is just picking the combination out of one of the aftermarket calipers like Wilwood, and making an adapter. For me, overall, that is a better combination.